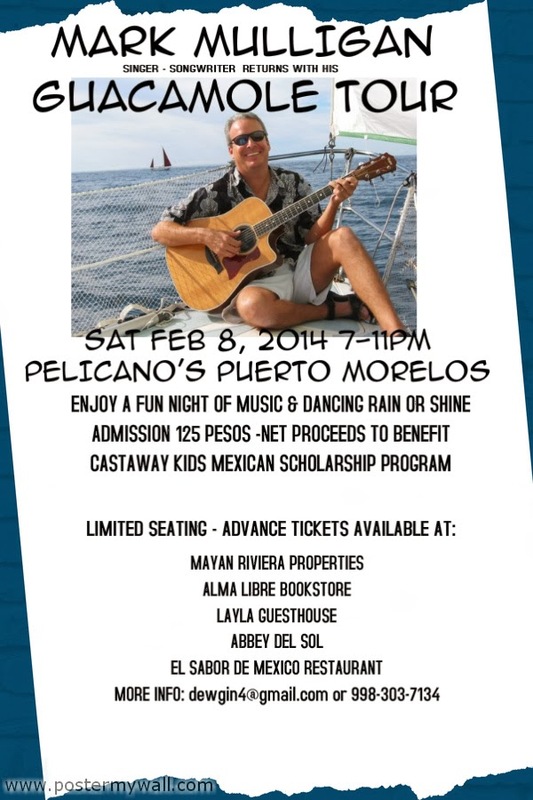 A Puerto Morelos favorite, Mark Mulligan, will be back in town on February 8th! Net proceeds benefit the Castaway Kids Mexican Scholarship Program. We are selling tickets, 125 pesos each, at our office. Stop by to pick some up! Those of you who received this post via email, some embedded items -- like videos -- cannot be seen. You will need to click the title of the blog to be taken directly to the post to view the full content. Check out this lot in the Regatta development! "Ask a Realtor" Workshop Wednesday at 5 p.m.!